Pupils have the opportunity to have their voices heard through School Council. Each year, elections are held and children engage in the democratic process by completing and returning ballot forms in a formal election procedure. Please visit the 'School Council' section of our website for further information. Children, parents and staff are given regular opportunities to give feedback on school life. This is done through pupil interviews, Parents' Forum, parent/staff/pupil questionnaires, individual meetings and School Council Meetings. The importance of Laws, whether they be those that govern the class, the school, or the country, are consistently reinforced throughout regular school days, as well as when dealing with behaviour and through school assemblies. We ensure that our children follow school rules and know the consequences if rules are broken. This is always within the understanding of mutual respect and that we are all made in the image and likeness of God. 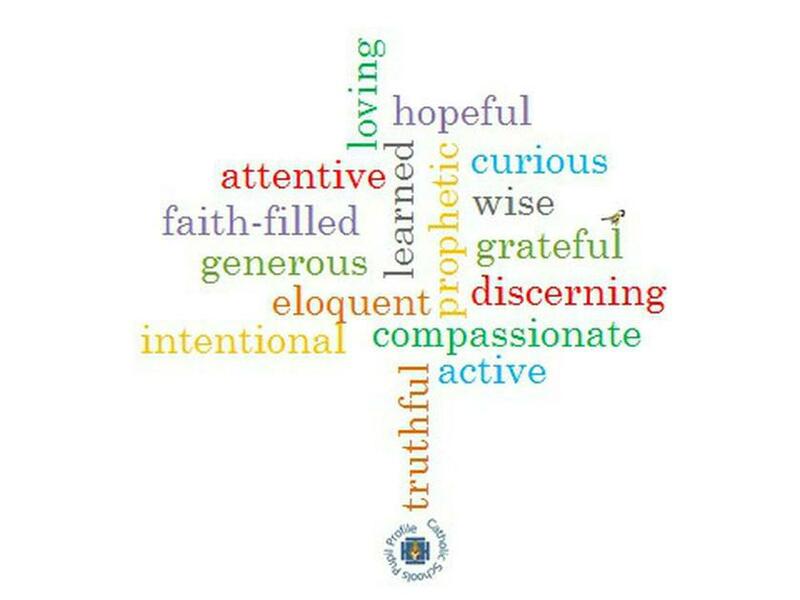 The Catholic Pupil Profile has its own logo which shows the virtues we will be focusing on. The tree is symbolic of the growth of the virtues. Within its branches comfortably resting is the goldfinch which has been used in art since medieval times to symbolise Christ and the Passion.